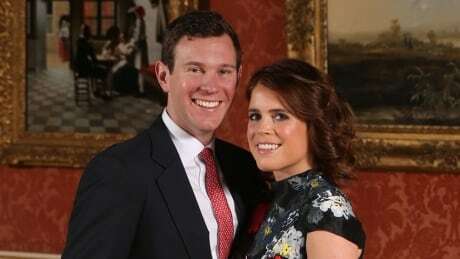 Princess Eugenie, granddaughter of Queen Elizabeth, marries on Friday in the second major royal wedding of the year at Windsor Castle, following in the footsteps of her cousin Prince Harry and his wife, Meghan. While Harry's wedding featured a fiery sermon from a U.S. Episcopalian bishop and a gospel choir, Eugenie's will be more traditional with a performance by Italian tenor Andrea Bocelli and the address given by Conner. Her elder sister Princess Beatrice, the maid of honour, will also deliver one of the readings, an extract from The Great Gatsby. A smattering of celebrities are expected to be among the guests with the daughter ex-Take That singer Robbie Williams one of the bridesmaids. Princess Charlotte, three, daughter of Harry's elder brother, Prince William, and his wife, Kate, will also be a bridesmaid while her brother, Prince George, five, will be a page boy. After the service, the couple will embark on an open-top carriage tour of Windsor, although shorter than the one Harry and Meghan, now the Duke and Duchess of Sussex, took when thousands lined the streets of the town. The Queen will then host a reception for the couple and their guests at the castle. Eugenie, a director at London's Hauser & Wirth art gallery, and Brooksbank, who is European brand manager for Casamigos Tequila, which was co-founded by U.S. actor George Clooney, met in the Swiss ski resort of Verbier in 2010. As she does not carry out official royal duties, republicans and some newspapers have said it is wrong that the security bill for the event will be paid for by taxpayers because the Royal Family are only paying for the wedding itself. But local council deputy leader Phillip Bicknell was relishing the prospect of another big royal draw. "The monarch and her family are part of the shop window for Great Britain, and at the end of the day anything that goes on that creates people wanting to come to this part of the world — come and see what goes on in Windsor — we're very happy for that," he said.